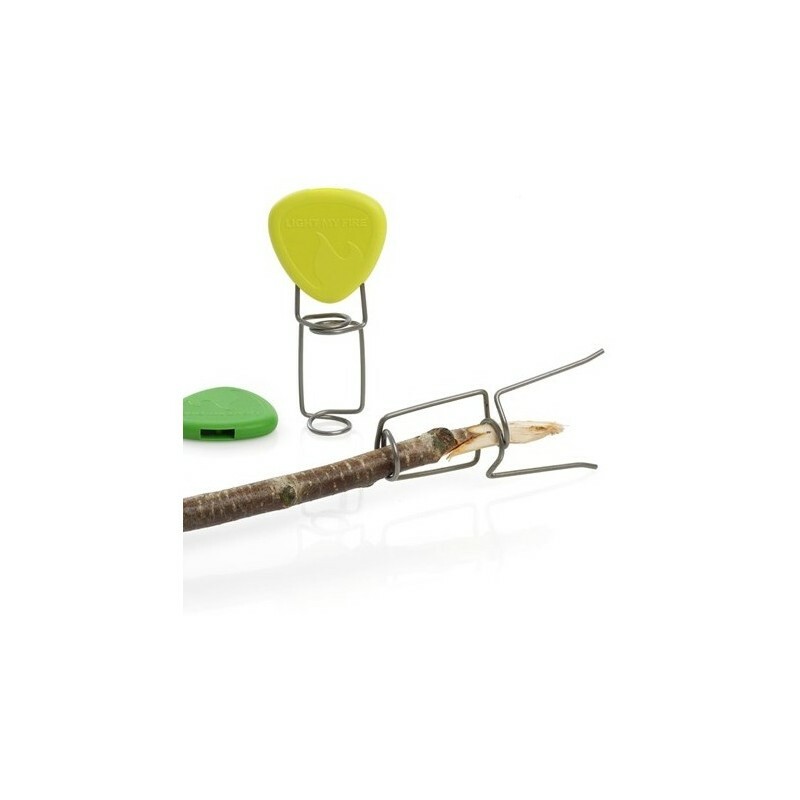 Grandpa's FireFork is the most versatile camping fork you'll ever see - it is a fork and a fire-poker all in one, simply attach it to any stick and use it to grill marshmallows, hot dogs & it also makes a great fire-stoker. Ingenious grill holder made from a strong stainless steel wire. These are yet another fantastic LMF product. In addition to the Firesteel Scout lighters and titanium sporks, my kids also have some of these for taking on Scout hikes and camps. 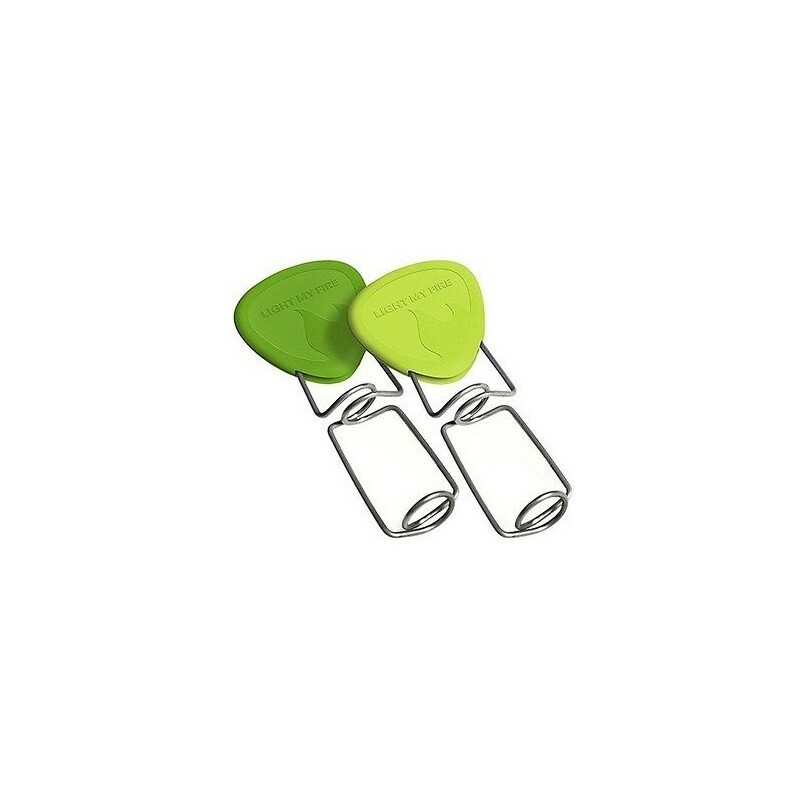 You simply take off the plastic cover, slide a stick through the middle and stab your food onto the pointy prongs for toasting over the campfire or stove. 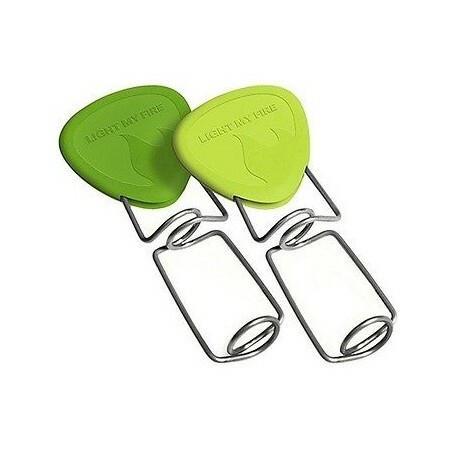 Great for making toast or cooking sausages!